The Jenny Craig diet is more of a lifestyle change than a strict diet plan. Created in Australia in 1983, the Jenny Craig diet does not limit what you can and cannot eat, rather the weight loss plan focuses getting you to change your lifestyle so that you can reach your weight loss goals. The Jenny Craig diet plan is broken into three different levels. The first level teaches dieters how to eat small, frequent portions of the food that they love. It is through theses smaller portions that the Jenny Craig diet is able to not limit the types of food that you can eat. The second level of the program teaches clients how to increase their energy levels through simple exercise. The third level of the Jenny Craig diet teaches dieters how to install more balance into their lives so that they can maintain a healthy lifestyle that will enable them to maintain their weight loss goals. 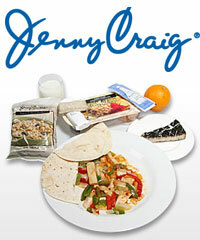 What sets the Jenny Craig diet apart from other weight loss plans is the 24/7 support offered through the program. Clients of the Jenny Craig diet are able to get information and support through a telephone hotline at anytime during the night or day. 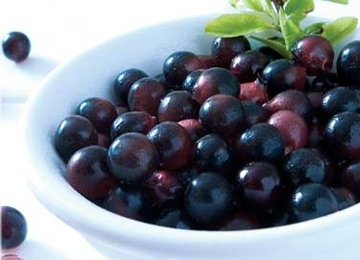 This support is unprecedented when it comes to diet plans, and is one of the reasons why so many people have success with the Jenny Craig diet. In addition to the telephone hotline, the Jenny Craig diet offers two different programs. One is centered around physical Jenny Craig centers. There are over 650 centers in the United States, Canada, Australia, New Zealand, and Puerto Rico, so clients should not have too much trouble finding a diet center nearby. However, if you do not think you will be able to attend a Jenny Craig center on a regular basis, the Jenny Craig diet also boasts an at-home program that offers diet information by telephone and mail. What can I eat while on the Jenny Craig diet? The centerpiece to the Jenny Craig diet is its prepackaged meals. The diet plan offers frozen breakfasts, lunches, dinners, and even desserts consisting of your favorite foods. While the diet program does not limit you on what you are allowed to eat, the Jenny Craig diet teaches its clients to focus on moderation, balanced diet, and increasing physical activity. The prepackaged meals encourage dieters to familiarize themselves with correct portion sizes, with the end goal of weaning clients off of the prepared meals. By getting its clients to first recognize correct portion sizes, the Jenny Craig diet then teaches its clients how to cook for themselves in such a way where they are not overindulging and able to reach their desired weight. Will You be successful with the Jenny Craig diet? To be successful with the Jenny Craig diet you will need to be willing to change your current lifestyle. Recognizing that you can eat whatever food you wish as long as it is in moderation is one of the main goals of the Jenny Craig diet. Correct food portions coupled with regular exercise is how the Jenny Craig diet gets its clients to lose weight. As long as you are willing to follow the instructions of the Jenny Craig diet and seek help from the many support options that the diet plan offers, you will undoubtedly lose the weight you wish to lose when on the Jenny Craig diet.